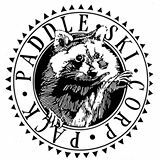 Welcome to RXCSF Racing, the adult skier development arm of the Rochester Cross Country Ski Foundation. We use the term “racing” loosely to encompass all skiers who want to simply get better. You may be aiming to toe the line as an elite skier or just to enjoy a long backwoods ski through unbroken powder, but almost assuredly you would like to do these things better, with more endurance, power, agility, skill and speed. We’re a community focused on accomplishing those goals while having a great deal of fun at the same time. We generally hold weekly dryland training sessions in the fall (aka hill-bounding) at Cobbs Hill Park. In the winter, we try to organize trips to local and regional races like the Empire State Games, Lake Placid Loppet, Osceola Pie Race, etc. We’ll also hold some training sessions and weather permitting host our own “Poronkusema” race series. We are a member of the New York State Ski Racing Association-Nordic (NYSSRA-Nordic). NYSSRA-Nordic races are low key affairs where EVERYONE is welcome. If you are interested in RXCSF logo ski wear, its available from Mt. Borah. We will have an official order period each fall, but the pieces are also available directly from Mt. Borah.